Home / Blog / Roof Cleaning / Roof Cleaning: Why Is It Important? Sunco Window Cleaning LLC, your local window cleaning company, explains why cleaning your roof is vital to its longevity and performance. You may find leaves lying around on your roof during one of your routine inspections. They may seem harmless, but they can cause damage. Rotting leaves accumulate moisture, which then spreads throughout the roof surface. It affects the structure’s ability to withstand the harsh elements. Also, wind-carried debris can make your roof susceptible to abrasions and impact damage. Avoid this by cutting back overhanging branches at least 10 feet away from the roof. In doing so, you prevent leaves and other debris from collecting on the roof surface and gutters. Without the benefit of roof cleaning, the presence of moisture may result in the discoloration of roof surface due to algae and fungus. You can easily notice it when you see stains and dark patches. Apart from it being a aesthetic concern, biological growth may also have the potential to eat away at the roofing material and cause severe damage to the whole system when ignored. Fortunately, you can avoid these risks by having your roof cleaned regularly. You can do it on your own by getting rid of leaves, branches and debris from the roof surface. That being said, you’ll want an experienced cleaning company to address your intensive cleaning needs. 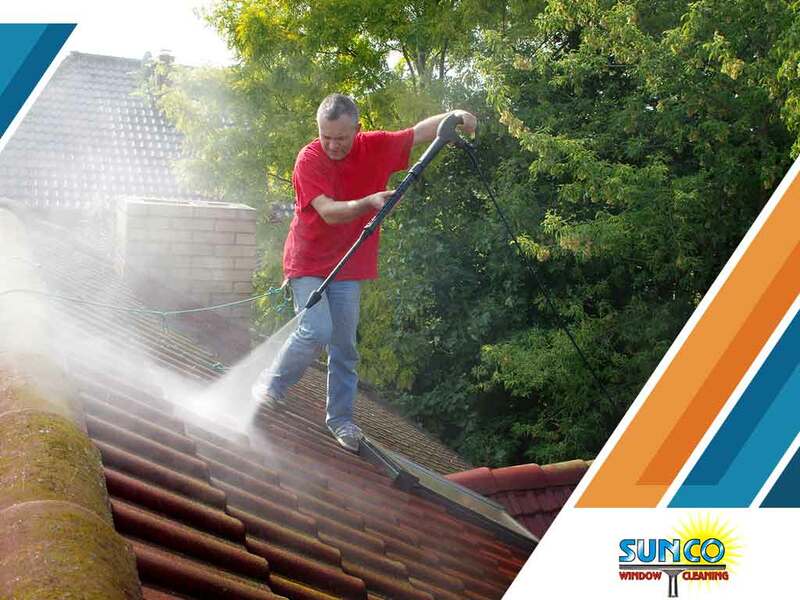 Whether it is the roof, siding or windows that need cleaning, trust the professionals of Sunco Window Cleaning LLC to do the job for you. With our power washing services, you can make your home’s exterior look great again. Call (253) 257-1969 to get started. You may also fill out our contact form for a free, no-obligation quote. We serve Milton, WA, residents.